1.) Use of Wag-A-Little's Dog Walking, Pet Sitting and or Pet Taxi Services (the "Services") will be deemed acceptance of the following terms and conditions. 2.) The Client certifies the accuracy of all information the Client has conveyed about Client’s pet to Wag-A-Little. 3.) The Client agrees that if the Client’s pet becomes ill or if the state of the pet’s health otherwise requires professional attention, Wag-A-Little, in its sole discretion, may engage the services of a veterinarian or administer medicine or give other requisite attention to the pet and the expenses thereof shall be paid by the Client. The Client gives consent to Wag-A-Little to act in the Client’s behalf in obtaining emergency veterinary care at the Client’s expense if deemed necessary by Wag-A-Little or any of its employees. The Client agrees to indemnify and holds Wag-A-Little and its employees harmless from said expenses. 4.) The Client agrees to pay all charges for special services requested, all veterinary costs for pet during the time said pet is in the care of Wag-A-Little, and all fees incurred by the Client through the Client’s failure to comply with Wag-A-Little’s Cancellation Policy. 5.) The Client assumes any and all expenses or liability for injuries that the Client’s pet may inflict upon any human or other pet while in the care of Wag-A-Little. The Client agrees to indemnify and holds Wag-A-Little and its employees harmless from any and all expenses and liability incurred as a result of injuries the Client’s pet inflicts upon any human or other pet while under Wag-A-Little’s care. 6.) The Client hereby grants Wag-A-Little the right to take photographs of the Client’s pet while under the care of Wag-A-Little, and to post or reproduce any and all photographs taken (as well as the Client’s pet’s name) on or in, without limitation, Wag-A-Little’s web site, promotional materials and merchandise, without becoming liable to the Client (or the Client’s pet) for any royalty payment of any kind. 7.) 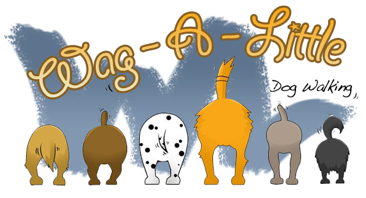 Wag-A-Little agrees to provide a Dog Walker, Pet Sitter or Pet Transporter (the "Professional or WagPro") as specified. The Client has the option to meet our Professional and acceptance of our Professional's services will be deemed satisfaction with the suitability and integrity of the Professional put forward. 8.) Wag-A-Little will charge the Client for its Services as quoted. For Pet Sitting, a fee of 50% of the total sum due is payable to Wag-A-Little as deposit at the time of booking. Reservations are not held until payment is received by Wag-a-Little or special arrangements are agreed upon by the parties in writing. There will be a $20.00 service charge for each returned check. 9.) Payment of Pet Sitting Services: a) the Client is responsible for paying Wag-A-Little's remuneration on completion of the contract immediately on receipt of Wag-A-Little's invoice for the remaining 50% fee balance; b) the Client is also responsible for any traveling expenses calculated at $1 per mile incurred by our Professional or for reimbursement of fares by public transport. The Client will provide food for our Professional during the period of the contract to the value of $10 per day. 10.) Wag-A-Little takes extraordinary care in selecting responsible and suitable Professionals. However we can accept no responsibility for the acts and omissions of any Professional or for any loss or damage caused or contributed to by the Professional. 11.) Should a Professional be taken ill or injured or for any reason not able to complete the contract Wag-A-Little will use its best efforts to make alternative arrangements. 12.) If the Client directly engages our Professional, whether for a definite or indefinite period in any capacity within 12 months of the expiration of our Service Agreement, Wag-A-Little will be entitled to receive payment of a one-time fee equal to four times the weekly remuneration paid by the Client to the Professional. 13.) In the event of cancellations which are notified to us in writing earlier than 48 hours prior to the start of the booking period, the deposit will either be refunded in full or held over to be used on a subsequent booking. Cancellations made later than this will result in the payment being forfeited. Wag-A-Little has never canceled a contract but if we do cancel a contract less than 48 hours prior to the start of the booking period, then you will be entitled to a refund of the fee already paid. 14.) Client must complete Wag-A-Little's Pet Sitting checklist with the Professional before handing off primary responsibilities. 15.) In the event that our Professional does not have sole control (house cleaners, landscapers, etc.) Wag-A-Little will not be responsible for any breaches of security. At time service is booked, Client will notify Wag-a-Little of everyone who has access to the client’s home. Wag-a-Little is not liable for loss or damage in the event of a burglary or other crime that should occur while under their control. Client will secure home prior to leaving the premise and Professional will re-secure at end of each visit. a) Client is fully responsible to pet proof house and yard. Wag-a-Little shall not be responsible for damages should Client fail to accomplish same. b) Client shall provide Wag-a-Little with equipment / supplies needed to care for pet. c) Client shall provide Wag-a-Little with contact number where Client can be reached while away from home. d) Client shall provide documentation that all vaccinations for their pet are up to date. e) Client shall notify Wag-a-Little of any medical conditions or concerns regarding their pet. f) Client shall be responsible for any and all medical expenses and damages resulting from an injury to Professional or any other person caused by Client’s pet. g) Client shall indemnify, hold harmless and defend Wag-a-Little in the event of a claim or lawsuit by any person injured by Client’s pet. a) The Professional will carry out the primary responsibilities agreed with the Client and keep the house clean and tidy to a reasonable standard. b) The Professional will carry out the primary responsibilities agreed with the Client and keep the house clean and tidy to a reasonable standard. c) The Professional is not responsible for any loss or damage to a Client's property, however caused. d) In the event of a problem or emergency arising the Professional will use his/her own discretion and will contact the right authority. e) In the event of cancellations less than 48 hours prior to the start of the booking, Wag-A-Little's fee shall be paid in full for the services and time booked. In the event the Professional is in route to, or has arrived at the booking, or the Client returns early during a booking, Wag-A-Little must be paid in full. f) Wag-a-Little is not responsible for damages to the home including, but not limited to, water leaks, electrical problems, gas leaks, etc., or acts of nature. If such a problem occurs during a booking, Wag-a-Little will take reasonable steps to notify Client regarding same. 18.) Wag-a-Little reserves the right to terminate services at any time before or during booking, if Wag-a-Little or Professional, in its sole discretion, determines that Client’s pet poses a danger to the health or safety of Professional. If safety or health concerns prohibit Professional from caring for Client’s pet, Client authorizes Professional to place said pet in a boarding kennel, with all charges being paid by Client. INSURANCE: If the Client's car is to be used by the Professional, insurance coverage must be in force. The Client is responsible for informing Insurers of their departure and the presence of the Professional in the house. CLEANING: The house will be maintained to a normal standard but Clients are respectfully asked to note that our Professionals are not cleaners. DATES: The Client should inform Wag-A-Little of any change or extension in booking dates to avoid inconvenience to our Professional and other Clients. PAYMENT: Invoices unpaid by the due date can render the booking liable to cancellation without notice and without any liability on the part of Wag-A-Little. FOOD: We recommend that $10 per day should be provided for our Professional. TELEPHONE: The Professional will keep an accurate account of all personal calls made and pay for them before leaving.